Surrounded by thousands of acres of Southwestern beauty and framed by towering cliffs and red rock formations at the entrance of Snow Canyon State Park, Red Mountain Resort is near a myriad recreational opportunities. Red Mountain offers a wide selection of activities for fitness and outdoor enthusiasts, as well as a pampering and luxurious spa and salon. With over 30 different hiking trails to suit all fitness levels, guests can explore the gorgeous southwest landscape of sandstone rock, lava caves, desert animal life, and Native American petroglyphs. This resort is just the place for adventurists to spend a week or a weekend trying out fitness activities like kayaking or mountain biking, eating healthy gourmet cuisine, and improving overall well-being. Notice: SpaFinder Wellness Gift Cards may be redeemed for a maximum of US$250 per person, per stay, at this property. 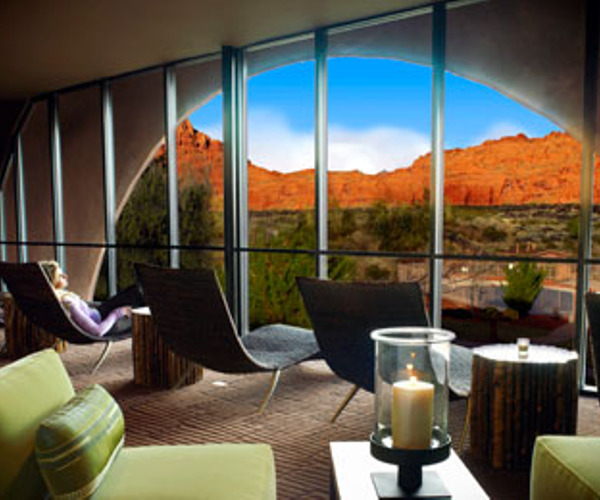 Set in the desert, Sagestone Spa aims to transport guests to a place of deep relaxation, tranquility, and renewal. The signature treatments have been inspired by health, wellness, and beauty rituals practiced in the diverse cultures of the world. Treatments are also crafted with desert botanicals, essential oils, body butters, and balms and use ingredients native to the region such as mineral-rich salt and clay from Utah and the resurrection plant found in the Arizona desert. Red Mountain offers a staff of over 40 specialized guides, trained in CPR, basic wilderness first aid, and the Leave No Trace Behind Program, making it one of the most extensive hiking programs in the United States. Their expert knowledge of the site means that guides are able to focus on providing guests with the hiking experience of a lifetime. Take advantage of many fabulous opportunities, including over 50 fitness classes, personal training, body assessments such as bone density testing or body composition analysis, nutritional consultations, archaeology classes, rock climbing, or kayaking. The richly decorated 130 rooms reflect the warm sunset tones of the surrounding southwestern landscape with light walls, bright textiles and blankets and honey-colored furniture. In addition to the range of comfortable standard rooms that include basic amenities, guests can select one of the new, private, two-story villa suites for an added dose of quiet luxury. Designed to give guests direct views of the dramatic red rock landscapes, villas also include antiqued rattan and leather furniture, a stately fireplace, silk blankets, spacious bathrooms with plush towels and robes, and a kitchen and dining area. 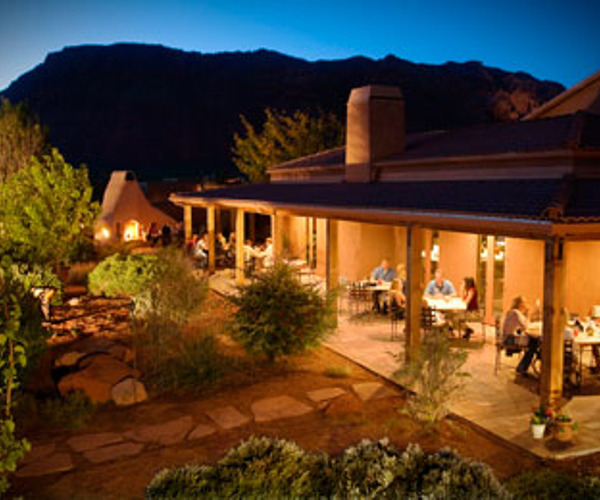 Guests dine at the casually elegant Canyon Breeze Restaurant and nutritional information is posted for all meals. Three healthy gourmet meals a day are included in every package. Breakfast and lunch are served buffet-style, while dinner is a seated affair. The open kitchen is perfect for the daily cooking demonstrations when chefs use simple ingredients and easy techniques to demonstrate that spa cuisine does not have to mean hours of chopping or cooking.